The enduring influence of H. P. Lovecraft can be seen everywhere…if you know where to look! We’re inviting Paul La Farge (The Night Ocean), Victor LaValle (The Ballad of Black Tom), Ellen Datlow (Lovecraft’s Monsters), and W. Scott Poole (In The Mountains of Madness: The Life and Extraordinary Afterlife of H.P. Lovecraft) to explore the ongoing relevance of his work on fiction and creative writing. The Center’s Events Producer and long-time Lovecraft fan, Rosie Clarke, will moderate. Paul La Farge is the author of, most recently, The Night Ocean. His other novels include The Artist of the Missing (1999), Haussmann, or the Distinction (2001), and Luminous Airplanes (2011), as well as The Facts of Winter (2005), a book of imaginary dreams. His stories and essays have appeared in The New Yorker, Harper’s, The Believer, McSweeney’s, Nautilus, Conjunctions and elsewhere. He has won the Bard Fiction Prize, two California Book Awards, and the Bay Area Book Critics’ Award for fiction. In 2013-14 he was a fellow at the Dorothy and Lewis B. Cullman Center for Scholars and Writers at the New York Public Library. He has received fellowships from the National Endowment for the Arts, the Guggenheim Foundation, and the New York Foundation for the Arts. 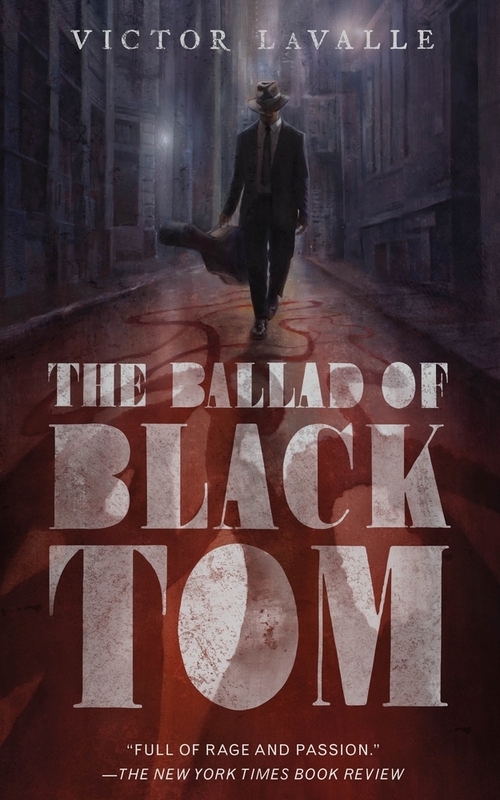 Victor LaValle is the author of the short story collection Slapboxing with Jesus, three novels, The Ecstatic, Big Machine, and The Devil in Silver, and two novellas, Lucretia and the Kroons and The Ballad of Black Tom. He has been the recipient of numerous awards including a Whiting Writers' Award, a United States Artists Ford Fellowship, a Guggenheim Fellowship, a Shirley Jackson Award, an American Book Award, and the key to Southeast Queens. He was raised in Queens, New York. He now lives in Washington Heights with his wife and kids. He teaches at Columbia University. His novel The Changeling will be published in June. Ellen Datlow has been editing science fiction, fantasy, and horror short fiction for over thirty-five years as fiction editor of OMNI Magazine and editor of Event Horizon and SCIFICTION. She currently acquires short fiction for Tor.com. She has edited more than ninety science fiction, fantasy, and horror anthologies, including the annual The Best Horror of the Year, Lovecraft’s Monsters, Fearful Symmetries, Nightmare Carnival, The Cutting Room, The Doll Collection, and The Monstrous. Forthcoming are Children of Lovecraft, Nightmares: A New Decade of Modern Horror, and Black Feathers. She’s won multiple World Fantasy Awards, Locus Awards, Hugo Awards, Stoker Awards, International Horror Guild Awards, Shirley Jackson Awards, the 2012 Il Posto Nero Black Spot Award for Excellence as Best Foreign Editor, the 2007 Karl Edward Wagner Award, a Life Achievement Award by the Horror Writers Association, and the 2014 World Fantasy Life Achievement Award. She lives in New York and co-hosts the monthly Fantastic Fiction Reading Series at KGB Bar. W. Scott Poole, who teaches at the College of Charleston, has written widely about American history, horror, and pop culture. His books include In The Mountains of Madness: The Life and Extraordinary Afterlife of H.P. Lovecraft, Vampira: Dark Goddess of Horror, and his award-winning history Monsters in America, which received the John G. Cawelti Prize from the Popular Culture Association and was named among the “Best of the Best” by the AAUP for 2011. Poole is a regular contributor to Popmatters and his work has appeared in the Huffington Post, Religions Dispatches, and Killing the Buddha. Rosie Clarke is the Events Producer for The Center for Fiction. She was born and raised in England, and now lives in Queens. A freelance critic and writer, Rosie's work has appeared in The Times Literary Supplement, The London Magazine, 3:AM Magazine, Music & Literature, Electric Literature, World Literature Today, and more. She tweets from @heardinthedark.